It has become expected of Stephen King to release multiple books a year. He’s been averaging two a year for nearly a decade at this point. For the diehard fans of King, who have already burned through most of his bibliography, this means more materi al to eat up. In late May of 2018, Stephen King released ‘The Outsider’, a thriller about a man who is arrested for committing one of the most heinous crimes imaginable; the violent murder of a young boy. All the evidence points to him, including DNA and fingerprints. Despite this, he proclaims his innocence and it isn’t long until we learn that, while at the time he was meant to be committing unspeakable acts of violence to an innocent child, he was also out of town, hundreds a miles away from the scene of the murder the police believed he had undoubtedly committed. Confused? Well, that’s only the beginning of it! 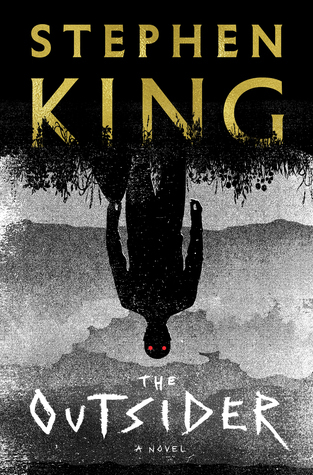 The first third of ‘The Outsider’ (maybe a little more) was one hell of an intense ride. Like keep ya up with anxiety intense. I could not put it down. I was raving to anyone who would listen, and even some who probably weren’t. The first section of this novel I would say, and did say multiple times, was King’s best writing in years. It was not only cruising towards a five star review, but it was rapidly climbing the ranks towards my top 10 favorite King novels. Then the first portion of the story ended and after that, this story lost a lot of its momentum. Now, this isn’t to say the rest of the story wasn’t good. Because it was. Really good at parts. But there were factors that went into why this novel ended up being 4 stars when I was finished, rather than the 5-Star rating I had anticipated. I’d like to take a moment to focus on those reasons. For starters, the fact that King hit the ground running with this story, oppose to a gradual build, didn’t do the story any favors. It was impossible to keep the initial momentum after certain events unfold in the story and once the story pushed past those incidents, there’s was no way to prevent it from slowing down. Another big factor that knocked a star from the final rating of ‘The Outsider’ was the reappearance of a character from Stephen King’s ‘Mr. Mercedes’ trilogy. Now, this no big secret by this point in time, so if you weren’t aware of this, I’m sorry if you consider it to be a spoiler. I will not reveal the identity of the character, but I’m sure anyone who has read the ‘Mr. Mercedes’ trilogy, can figure it out. I do feel compelled at this point to tell anyone who hasn’t read the ‘Mr. Mercedes’ trilogy and desires to do so that there are major spoilers to that series in ‘The Outsider’. So go back and read the ‘Mr. Mercedes’ books before moving onto to ‘The Outsider’. For everyone else, let’s move on briefly to this character. I wasn’t the biggest fan of the ‘Mr. Mercedes’ books. At best, I thought the series, as a whole, was middle of the aisle, as far as King writing goes. The biggest issue was the lack of connection I felt with the characters to the series. I’d even go as far as to say I found some of them annoying. Like the one that appears in ‘The Outsider’, for example. Now, I will admit; this character definitely didn’t annoy me as much in ‘The Outsider’ as they did in the ‘Mr. Mercedes’ books. But I definitely didn’t need them to be in there. To me, this was just King not ready to let go of that character and finding away to revisit them. Not entirely needed, if you ask me. Finally, there were parts as we headed towards the end the dragged. Where I questioned the reason why sections of this book were even in the book. I could feel the climax coming, I was ready for it, but I still had over a hundred pages of reading left. Despite all these personal critiques, the story kept me engaged and wanting to find out how it was going to unfold and the books ending was a very good one. Which comes as a bit of a shock and relief, as King, admittedly, struggles with endings. When I closed this book, I felt completely satisfied with the story, despite its struggles. All-in-all, it was an enjoyable read. One that had moments in it that I know will stick with me when I look back on it years from now. I will look forward to reading this over the summer. 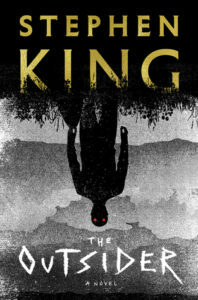 Stephen King sometimes runs hot, cold, 4 Star, 5 star, but I have as yet not stopped reading until the book was finished. Thanks for the review.